Which Vaaru Bike Are You Interested In? It is important to make sure you have the optimum sized bike for you. If you are not sure which size you need then please contact us and we can help advise you. We have created a form for you to fill in so that we can interpret your measurements and help you make the right decision. 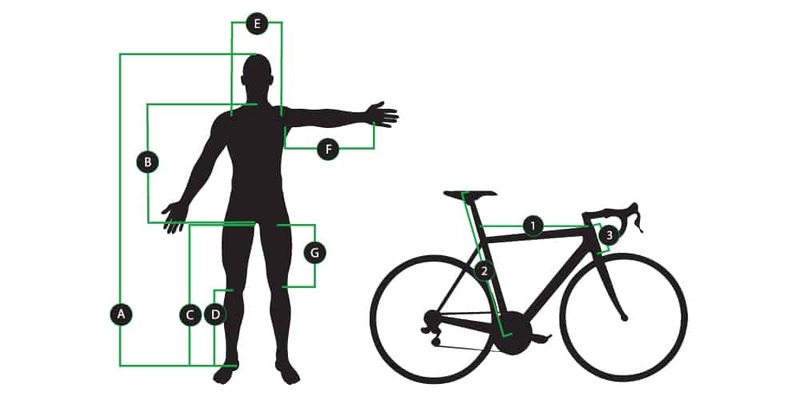 The data that you submit in this form will be used to make sure we provide you with the correct size bike for you and may be used to improve our products. We keep this data in email form and if you would like it to be deleted please contact us james@vaarucycles.com. Please repeat all measurements 3 times to get a consistent and accurate dimension, if they differ, take an average. Please get someone else to take the measurements to achieve accuracy. Stand up straight with your back to a wall with bare feet and slightly apart. Take the measurement from the bottom of the Sternal Notch to the crotch. Stand up straight when taking the measurement. Take the measurement in a vertical line. This is important to get this measurement right. Take this measurement in the same stance as your height, press quite firmly under the crotch with the tape measure and use a vertical line to the floor. Sit down so your leg is at 90 degrees, place a book on your thigh, make sure it is level and then take a vertical line from the underside of the book to the floor. Stand with your arm as per diagram, press tape measure firmly into the armpit until you can touch your rib cage, then measure to the centre of the palm. Kneel on the floor so your leg is at 90 degrees, measure from the floor to crotch. Use the same method as your inseam measurement. Measure center of head tube to center of seat post horizontally. Make sure this is not the actual top tube length. Measure in a straight line from the center of the Bottom Bracket to the top of the saddle following the line of the seat post. Measure from base of head tube to top of headtube.